This law school casebook takes a student beyond knowledge of the substance of contract principles, doctrines, and rules. It contains a concise review of the contract drafting process and the accepted rules of style and usage, with corresponding exercises. Students then put this into practice through a series of exercises in which they draft a variety of contract provisions and complete contracts. 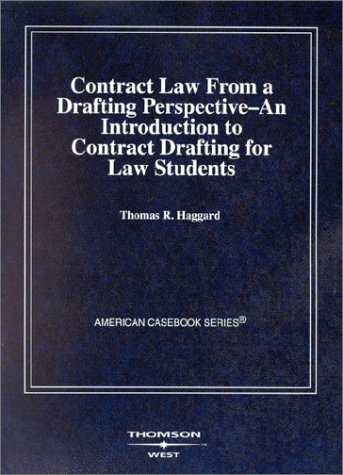 The book is suitable for use as a supplemental text in a first-year contracts course or in an upper-class course on contract drafting. View More In Legal Education. If you have any questions about this product by West Academic Publishing, contact us by completing and submitting the form below. If you are looking for a specif part number, please include it with your message.